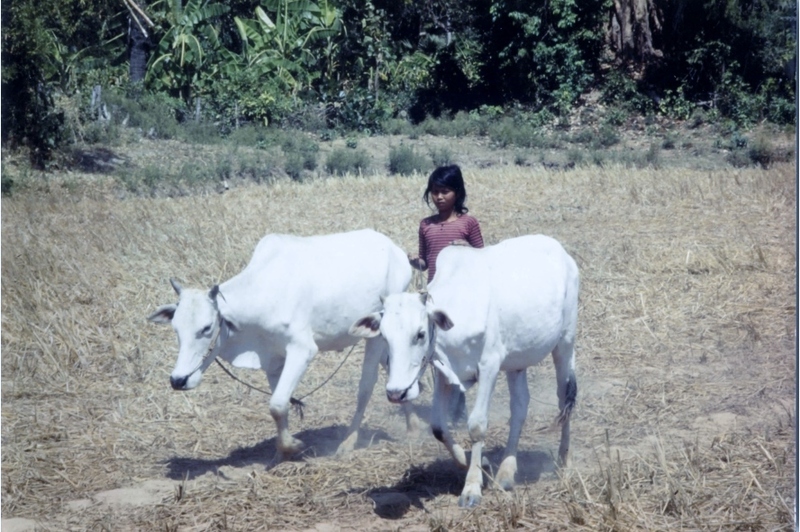 When I lived in the Cambodian jungle, there was no store. Not. one. single. one. Once our maid departed for the day, any late night craving meant boiling water and eating ramen soup. So when a fruit season would hit, I was the first one at the source, scrounging. I could independently feed myself with le fruit du jour and imbibe all day long! This was exciting stuff. Breakfast, lunch, supper and snacks. Never got boring, ever. On the odd day that we crossed the mighty Mekong River and went shopping, I would find more of the same fruit. Like lots more (see photograph above). Thankfully some Australian chocolate (which the mouse in my house would eat) and french fries could also be mustered up. Fruit became my saving grace… all of it… except for one. Just say no to papaya! What food saved your day when you were travelling or living elsewhere? Is there any kind of fruit you dislike? This is my house where I lived in Prek Presap, Kratie. Notice the truck out front; one of four that we owned. Why? I don’t know. How do two people really drive 4 trucks? The most cars I will ever “own” at one time. The house had an open concept living area (it was ahead of its time) where the local people would come at night to watch movies on our VCR/TV as we had a generator; a first for this district. So electricity was a big deal…and we were happy to share it. 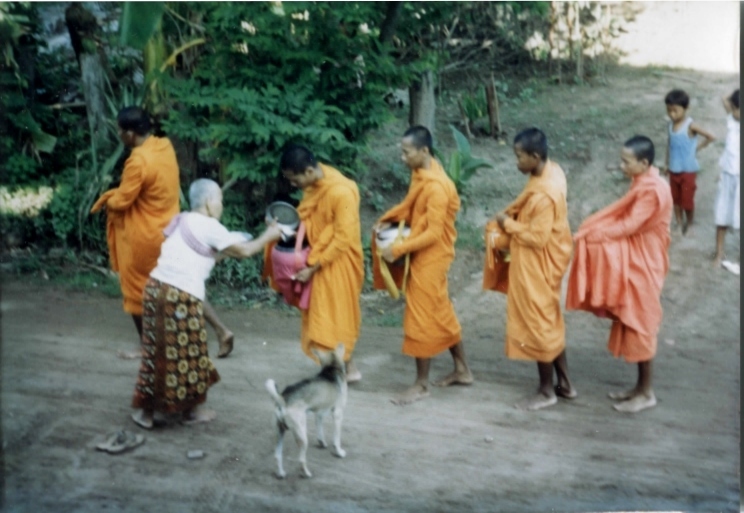 This is my front yard which was an amazing sight as each and every morning the monks would walk by and receive alms. This is my backyard. A good reminder that my job was probably one of the easiest ones around the neighborhood.